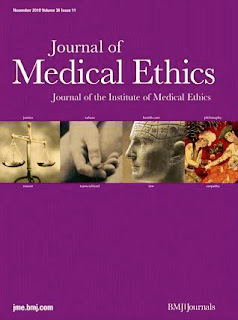 Those of you who follow the world of applied ethics will, no doubt, be aware of the recent furore surrounding the Journal of Medical Ethics’s decision to publish an article defending the moral permissibility of infanticide. 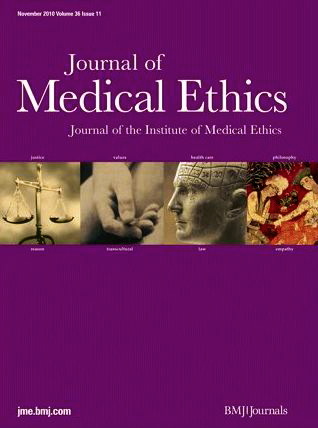 The article is entitled “After-birth Abortion: Why Should the Baby Live?” and it’s by Alberto Giubilini and Francesca Minerva. Apparently, the authors have been threatened with violence and the editors of the journal have received a considerable volume of hate mail as a result of it’s publication. You can read about this, as well as the editor’s defence of the decision to publish over here, if you like. Given the controversy, I thought it might be worth taking a look at the paper and figuring out what kind of argument it is making. But also, given the controversy, I should probably preface my attempt to do this with a few cautionary remarks. First, I’m certainly very queasy about the argument, as I think most people are, but I’m not sure where I ultimately come down on this issue. I’m trying to approach this in as neutral a way that I can. Second, I have no problem with the decision to publish the article, believing it is perfectly acceptable to discuss these issues in a reasoned manner. And third, I find the controversy somewhat odd: I can understand why people might be challenged or offended by what the authors say, but the fact is that leading philosophers (Singer and Tooley) have been making similar arguments for a long time. The editors raise this in their defence of the decision to publish and, ironically, this is the one thing that makes me question the decision to publish. As far as I can make out, there’s nothing particularly original about the article, Tooley (in particular) made an almost identical case a long time ago. But to say that Tooley’s case is “almost identical” is not to say that it is “identical”. The authors do present the argument in a different way and it’s my goal to figure out the logical structure of their reasoning. As it turns out, this is not a particularly easy thing to do. While the article is a short easy read (just three pages), I struggled as I read it to figure out exactly where each section fit in to the central argument. I concede that my difficulties may stem from my desire to project my own understanding of what the argument should be onto the article, but I can only speak from my own perspective and from that perspective I do genuinely think the central argument is not as clearly presented as it could be. Thus, I dedicate this first post in the series to an attempt at reconstructing the central argument. Before I get down to the reconstructive task, I need to back-up for a moment and talk about terminology. As it turns out, terminology is important to understanding the central argument so this is not a complete distraction. Giublini and Minerva state that they are defending the permissibility of after-birth abortion. But “after-birth abortion” is a term of their own invention. On the face of it, it seems oxymoronic: you can’t have an abortion after birth since an abortion is defined as the termination of a pregnancy. Aware of this problem, the authors still prefer to use the term “after-birth abortion”. Why so? They offer two reasons. The second reason is similar to the first. It is to draw attention away from possible parallels with euthanasia (hence, they don’t call it “after birth euthanasia”). This is because the authors think that the case of euthanasia is significantly different to that of after-birth abortion. Euthanasia is usually justified on the grounds that death is in the best interests of the person being killed. But the justification of abortion is different: it can be justified on the grounds that it is in the best interests of persons other than the individual being killed. Indeed, as we shall see, part of the argument is that foetuses and newborn infants are not “persons” properly so-called, so they can’t have interests of this sort anyway. Another terminological/conceptual point, worth mentioning at the outset, is the difference between saying something is “permissible” and saying it is “obligatory” or “supererogatory”. To say that an action is permissible, is to say that its performance attracts no moral blame or introduces no moral disvalue to the world. This is very different from saying that the action is something that would attract moral blame if it were not performed (i.e. is obligatory) or that it enhances the moral value of the world (i.e. is supererogatory). The authors are arguing only for the permissibility of after-birth abortion. I complained in the introduction about the authors' lack of clarity in presenting their central argument. But what exactly do I mean by “central argument”. Basically, I use the term to draw a distinction between what I see as being the primary argument of the paper — i.e. the one that ends with the conclusion “Therefore, after birth abortion is permissible” or something pretty close to that — and the subsidiary arguments that are used to defend the key premises of that primary argument. One of the main problems with the paper, as I see it, is that the authors are (sort of) clear about their subsidiary arguments, but not about their central argument. They do, however, offer several clues as to the nature of the central argument. One such clue — already highlighted — is that the central argument tries to draw some clear parallels between the pre-birth and after-birth situations. Roughly, the authors are trying to say that since the status of the foetus is similar to the status of the newborn infant, if pre-birth abortion is permissible so too must after-birth abortion be permissible. So their argument must work with at least one premise setting out the similarity between the two cases and one setting out the implications thereof. What might those premises look like? (1) Abortion is permissible in a variety of circumstances (severe foetal abnormalities, damage to health of mother etc.). (2) If the circumstances permitting abortion arise after birth, then they would also permit after-birth abortion. (3) The circumstances permitting abortion do arise after birth. (4) Therefore, after-birth abortion is permissible. The first two premises of this argument have some textual support, which is highlighted above. And there is an attempt to defend something like the third premise at the outset of the article. Thus, in paragraph three, the authors discuss a variety of factors that can lead to severe abnormalities that can actually be caused by the birthing process or are only capable of being discovered after birth. But for all its textual support, I think this version is a poor fit for the central argument of the paper. The main reason for this is that when the authors get down to the actual business of defending the other premises — i.e. the premises defending the permissibility of abortion and the equivalent moral status of the newborn infant and the foetus — they don’t limit permissibility to just those cases involving harm to health. This is unsurprising, given the way in which abortion is most commonly defended: as a “free” choice, not something constrained by particular circumstances. This isn’t to say that a constrained version is implausible in general, just that it doesn’t seem to fit with the remainder of the article. (5) Pre-birth abortion is permissible. (6) If pre-birth abortion is permissible, then so too is after-birth abortion. (7) Therefore, after-birth abortion is permissible. (8) It is permissible to kill non-persons (even if they are potential persons). (9) Neither the foetus nor the newborn infant are persons. (10) Therefore, pre-birth and post-birth abortions are permissible. This, I think, is the best version of the central argument. It does justice to the authors’ attempt to argue for the equivalent moral status of the foetus and the newborn infant (in premise 9), and so grants them their framing of the debate. But it also allows them to avoid the straw man discussed above and offer some explicit defence of the permissibility of killing non-persons (premise 8). I’ll talk about how they do both of those things in part two. I am glad you are reviewiing the article. I'd appreciate your thoughts on what I wrote about it. I am glad to see a blog discuss this article. I admit that I have more than queasiness about Giubilini and Minerva's proposal but total outrage. However, I see no remote justification for threats of illegal vigilante violence against them. I could see the United Nations taking action against a modern government that would legalize elective infanticide, but I also abhor vigilante threats against philosophers proposing a philosophical notion. I appreciate the complexity of pinpointing philosophical notion of personhood and legal rights while examining the continuum of human development from zygote formation to adulthood. For example, in most of the United States, citizens can make their own decisions without parental consent at the age of eighteen unless they seek emancipation as early as the age of sixteen. All of this is civil law that appears discretionary. (By the way, I never took a course in the philosophy of law, so please excuse my layman's language.) Such laws are evidently needed but discretionary nonetheless. I propose that self-evidence indicates that elective infanticide / after-birth abortion is wrong. I see problems with my proposal because polytheistic ancient Greece and Rome supported elective infant exposure, so I cannot appeal to this as a self-evident truth recognized by every culture throughout history. I also cannot think of how to propose this to proponents of moral error theory. I also understand that proponents of a literal interpretation of the history in the Bible from Deuteronomy to 2 Kings (D history) cannot appeal to universal wrongness of all situations of elective infanticide. But fortunately not all ancient and modern Christians insist upon a literal interpretation of all the human slaughter in D history. I also agree with you that Giubilini and Minerva make no suggestion that there logic should be used place limits of fetal abortion. However, I suppose that their logic could easily support that human fetuses and newborns should have the same civil rights, regardless of where the chips fall. Additionally, they never proposed an age of personhood in the continuum of human development. Are two-day-old infants eligible for after-birth abortion? Three-day-old? Four-day-old? Etcetera? I never say gut feelings is our most important criteria for decision making. But if anybody is unsure about this, and your gut feels queasy about accepting Giubilini and Minerva's proposal, then in this case, go with your gut. I hope to develop a better justification for rejecting the legalization of infanticide, but I need more time and more dialogue.